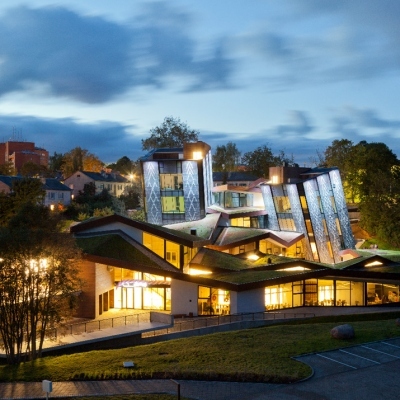 One of the most important 21st century cultural buildings in Latvia, built to a design by the outstanding Latvian-born architect Gunārs Birkerts. 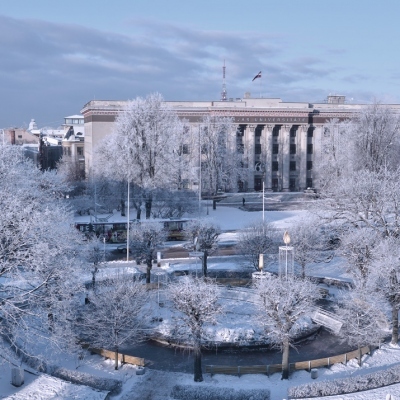 The building is home to the Latvian National Library. 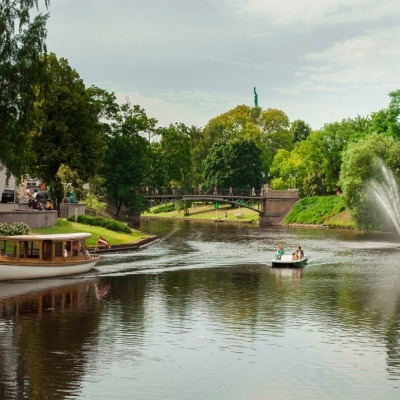 An artificial water course in Central Riga. 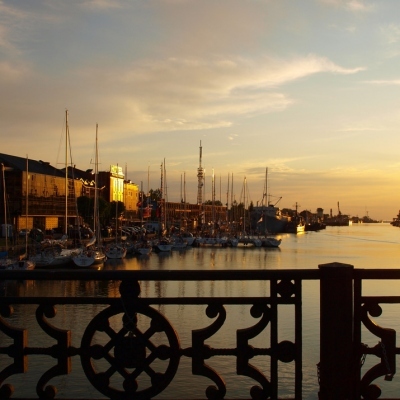 3.2 kilometres long, the canal is spanned by 16 bridges. 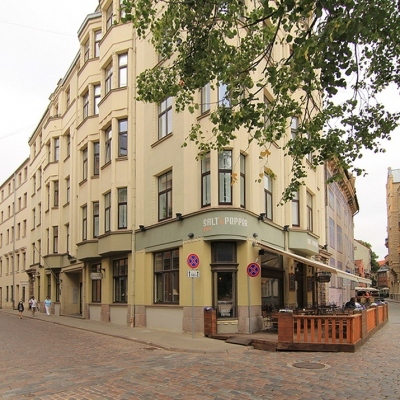 The Old Town of Riga’s eclectic range of buildings has taken shape over several eras. 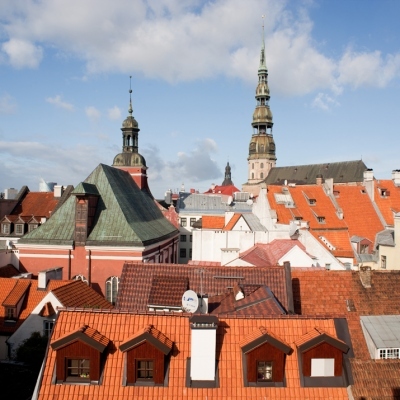 Residential buildings serve as a background for dominant Medieval cultl buildings, which define the silhouette of Riga’s Old Town. First built as a building for collective farmers in the so-called Stalinist baroque style, the building was later entrusted to the Academy of Sciences. The 21 floor high office building is considered to be the country’s first high rise building. 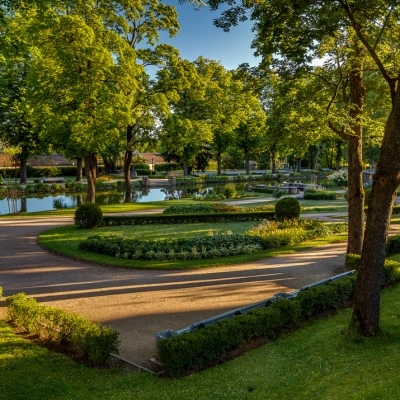 Among of the jewels of Latvia’s capital are its many large and beautifully-kept parks. 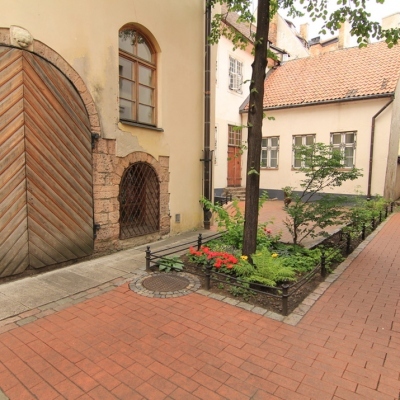 The oldest of these began to take shape during the late 19th century when the city’s fortifications were demolished. 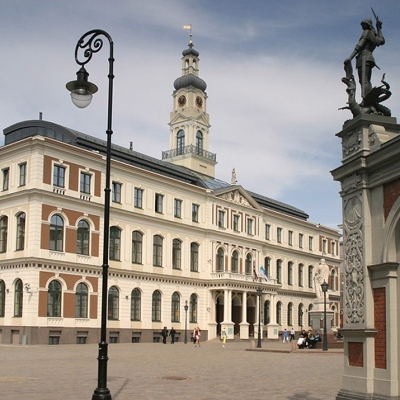 Until the 19th century, this was the city’s commercial and administrative centre. Destroyed during the Second World War, it has now been restored to its former glory. A modernised copy of the building built in the mid-18th century and destroyed during the Second World War. 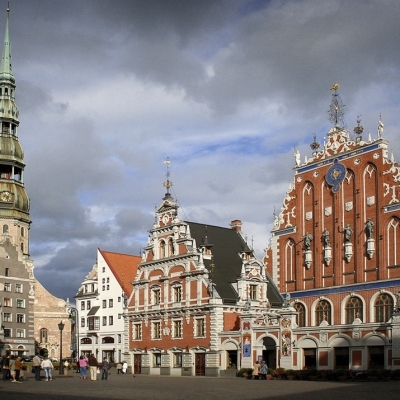 Currently, it is home to Riga City Council, which is the highest self-government institution in the City of Riga. 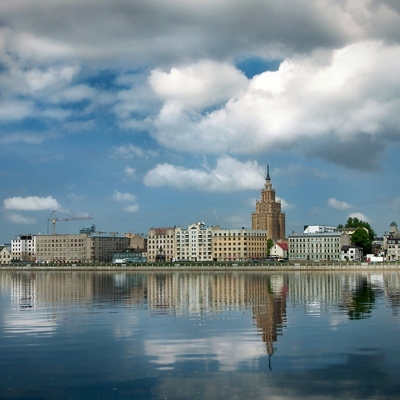 A popular leisure and cultural event venue located on the coast of the Baltic Sea, Liepaja is Latvia’s third biggest city. Another Soviet-era monument, which was built in the Stalinist baroque style. 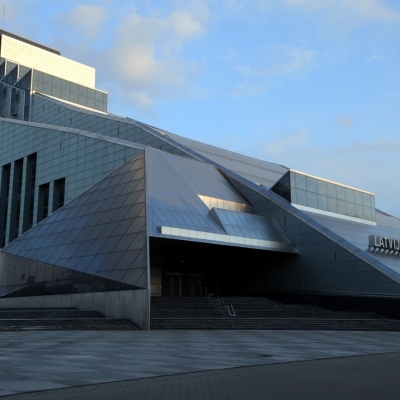 The building is home to the University of Liepaja. 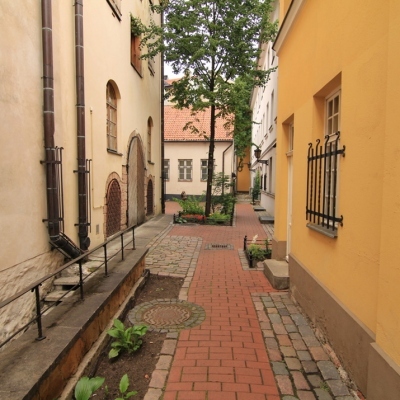 One of the earliest quarters in the Old Town is Convent Yard. Open to the public, it is now home to a hotel. 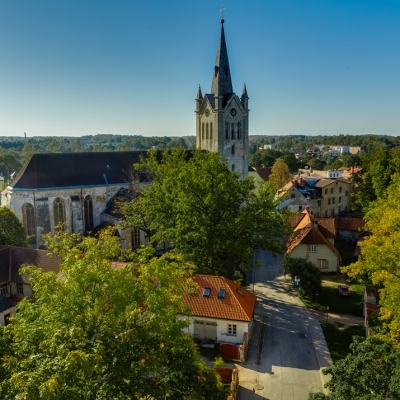 Founded in 1206, Cesis is the third oldest city in Latvia. It not only has an impressive architectural and urban building heritage, but is also notable for its distinctive relief and narrow streets. 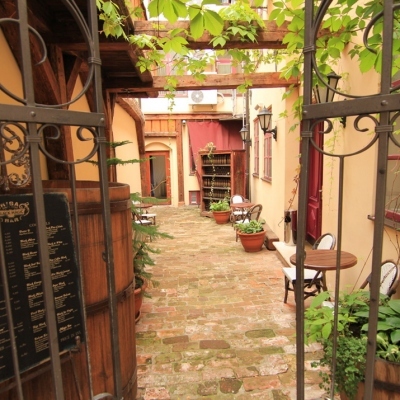 The Convent Yard’s unique complex of medieval buildings is exemplified by small, narrow streets and tiny souvenir and art shops. 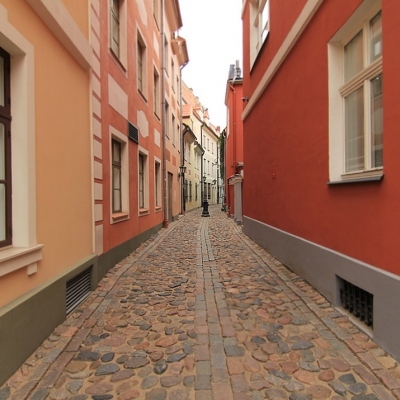 Winter makes the town’s ancient streets particularly atmospheric. 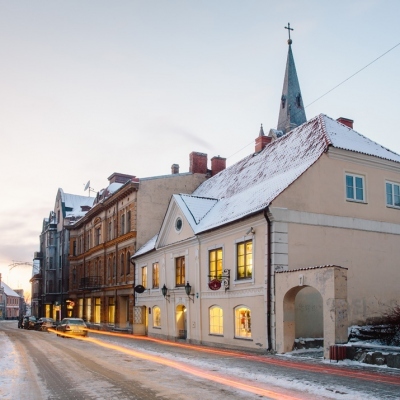 The Embassy of Latgale GORS is Latgale’s regional cultural and arts centre, which was opened in 2013. 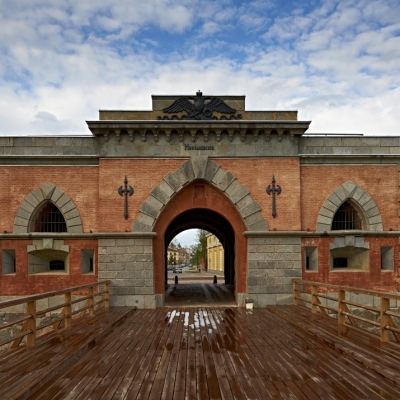 The fortress was built during the period from 1810 to 1878. 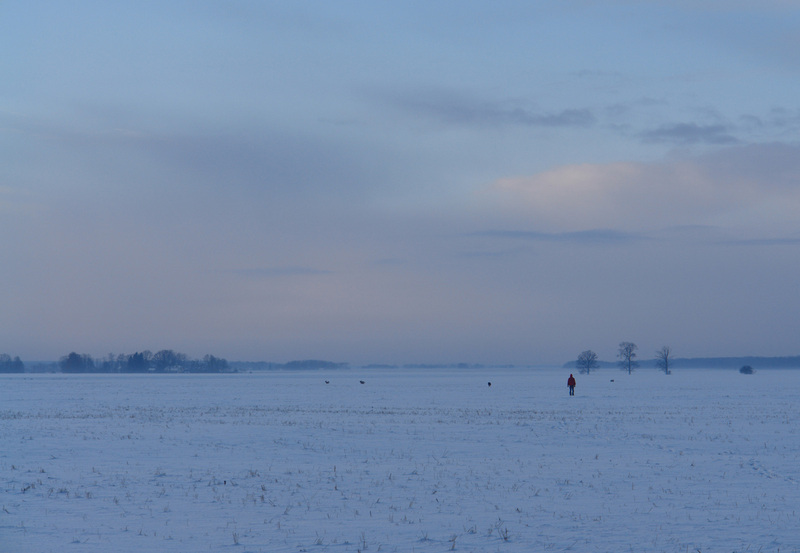 The fortress has remained completely in tact right through to the present day and spans an area 2 km2.